Xi Jinping votes during the closing of the 18th Communist Party Congress in Beijing, Nov. 14, 2012. 1. Implement the Constitution and rule the country according to law. 5. Adjust the distribution of income. 6. Learn from the disintegration of the Soviet Communist Party. All these points are good, but the first is the best, and the most important. I don't know whether they can achieve it or not, but I can offer a superficial and rather workaday analysis. I would like to examine the relationships between these six points. Are they, in fact, compatible? They seem to go in the same direction, but is there any conflict between them? My impression is that once you have the implementation of the Constitution and the rule of law, then all the other points become achievable, and each will have its place, and complement the others. It only takes a moment's thought to understand this, so I needn't be too long-winded. If the fight against corruption were to dominate, without the rule of law, it would easily go down the slippery slope of illegal political struggle in the name of "anti-corruption." Bo Xilai's "strike black" campaigns [of 2009-2011] are a case in point. And if an efficiency drive were to take first place? Could it? Done badly, this could easily give rise to a militaristic system and a wartime mentality. Such was the evil road that Hitler traveled. What if doubling GDP were to be the chief concern? How would this be different from the 'catching up' of Great Leap Forward [1958-1961]? If GDP doubles, who's to say that we won't see consumer prices double as well, and corruption and empty words quadruple? As for the wealth gap and the Gini coefficient, who knows how many times they would be doubled? As for the destruction of resources and environmental pollution, can anyone tell me a way to factor these in as a proportion of GDP? Is it possible to prioritize redistribution of income? I don't know how this could be done. Perhaps this is just a re-run of the "socialist transformation" campaigns [of 1953]? So, is it possible to make learning lessons from the collapse of the Soviet Communist Party the dominant policy? If learning a lesson is taken to mean that we hold onto the notion of the absolute power of life and death that was wielded by Lenin and Stalin ... then this would be totally incompatible with the aim of implementing the Constitution. I honestly can't think of anything that would be compatible with those two killers. Of course, if the lesson we need to learn is "the Party acts within the limits of the law and the Constitution," then that would be great. This is the headline clause in the Chinese Communist Party's own constitution, and is the best and most authoritative summary of the contribution made by the international communist movement. If they really can find the resolve to learn it, they will be able to resolve any problem. If this were the case, the Communist Party would use its planning and leadership to transform forces that are destructive to the rule of law into a force for justice, and a powerful driver of constitutional government in action. Then, the fight against corruption would be able to break new ground. Improving efficiency and changing people's way of working would cease to be a problem. We could successfully double GDP and adjust income distribution, reconciling social contradictions. The unity of diverse ethnic groups in order to achieve long-term stability, as well as respect from the international community as a promoter of peace, would also be assured, and could be realized. This is exactly where the inexhaustible strength lies. Unify the Party under its own charter; unite and serve the people under the Constitution. This would be the right and proper thing to do. What Party member could oppose it? Sometimes, making the right choice outweighs any consideration of "mighty force" or "strategy and tactics". 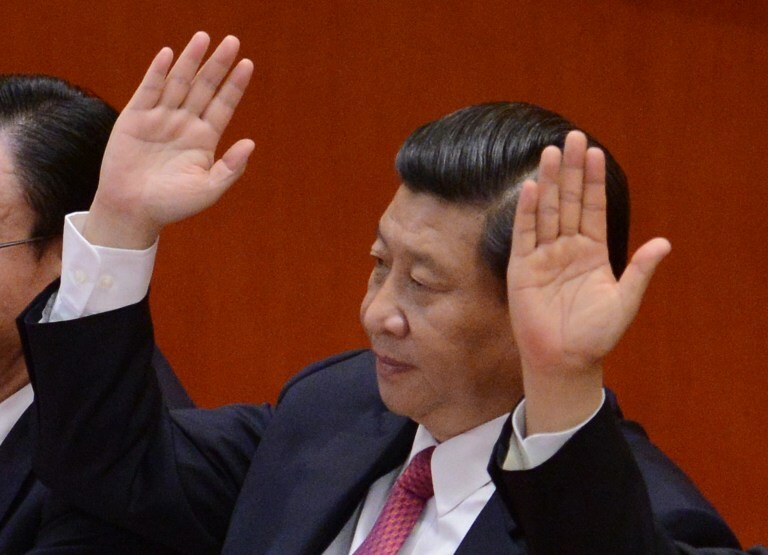 When the General Secretary of the Chinese Communist Party is elected as the nation's president [in March], he can use his position to support the platform that the Party should act within the law and the Constitution, and use his presidential authority to support the vitality of the law and the Constitution. Then, the new leadership will be unbeatable. What immovable bureaucratic obstacles will they not be able to surmount? What chronic and fatal diseases will they not be able to cure? The most important thing is to choose. Bao Tong, political aide to the late ousted Chinese premier Zhao Ziyang, is currently under house arrest at his home in Beijing.